As a wedding photography business owner, understanding SEO for photographers is a crucial part of your success. Done correctly, the right audience will see your content and access your website and blog. Done incorrectly, you risk missing out on the clients who matter. Because the rules for SEO for wedding photographers constantly change and are often complicated, how can you implement the techniques to go beyond the basics, without spending all your time on it? Here at ShootDotEdit, we specialize in wedding photo editing and our mission is to empower the success of professional wedding photographers. That’s why we partner with industry leaders and experts to bring you valuable information and insights on topics that can help you grow your photography business. Today, we are going to cover SEO tips for photographers, with help from experts, bloggers, and more. Throughout this post, we connect with Corey Potter of Fuel Your Photos about his top 5 tips on SEO for wedding photographers that can help grow your photography business. We also dive into important questions your photography website bio should answer with wedding photographer, Mike Allebach. Plus, don’t miss out on 4 critical mistakes you can’t make with SEO photography, tips on SEO for wedding photographers, the best photography keywords, and the top SEO for photography websites tips. In our Online Training: Get Discovered: SEO Techniques for Growing Your Photography Business, Corey Potter of Fuel Your Photos shared tips on SEO for wedding photographers, geared toward how to grow your photography business. He went into the details of the “why” behind SEO to help you become an authority on the topic and reach clients you want to book. Before starting a photography business with his wife Ashley, Corey helped small local businesses with websites and SEO. Using the things he had learned, he was able to grow the photography business quickly and stay booked solid for years, photographing over 200 weddings. As the family started growing (currently 3 kids under 6), Corey decided to go back to his SEO roots and help other photographers get more clients using the internet. Here are 5 of the best SEO photography tips from Corey’s Online Training. As more wedding photographers advance their SEO strategies and techniques, the basics are not enough. However, SEO for wedding photographers basics are required for you to know to help utilize more advanced strategies. Local SEO – Google My Business, Citations, NAP (name, address, and phone), etc. Also, write down possible concerns and fears clients have. If you can address the concerns and fears your clients may have, and answer them and make them feel confident, that will be extremely valuable for you as a wedding photographer. A tool Corey recommends is Answer the Public, which helps you with keyword research that focuses on questions. With all research you do on topics that are relevant to clients, think about what you know, especially because you are an expert in all things wedding photography. The more you know your ideal client, the easier it will be to research the best questions to ask. After you make a list and do your research to improve your SEO, the next step is to demonstrate you are an authority on the topics you chose by creating compelling and informative blog posts. Blogging is a key way to grab Google’s attention, but also to showcase your knowledge and expertise with ideal clients. An example of Corey using research to create a valuable blog post (for both his clients and his business), is when he created a post compiling his favorite wedding venues. With your blog posts, keep in mind that you want to be thorough and answer every question your clients may have. Also, long content ranks better and gets more shares in many situations, so work on adding in a few longer posts to encourage more interaction. The more you write about the topic in which you are an expert in, you will demonstrate your authority. Another way to achieve the goal of sharing your authority is to interview other experts to borrow their knowledge and educate your clients. 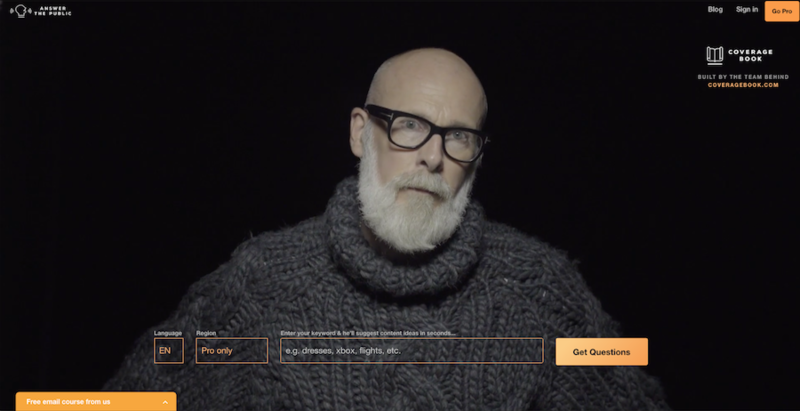 You can create videos with them or have the interview written out (or you can do both – place the video in your post and transcribe the text). In addition, get interviewed by others to share more about what you know. This is one way to showcase your authority and work on getting more backlinks to your website. Other ideas are to write guest blog posts or to be involved with a podcast. One final way to demonstrate you are an authority as a wedding photographer is to speak at community or industry events. It does not need to be a sales pitch, just a way for you to give back. For example, you can speak at a charity event on how wedding photography changes lives or write posts about your experience working in the community. Keep in mind, you do not need to speak directly to your clients; you can speak to other wedding photographers (which also demonstrates you are a thought leader). 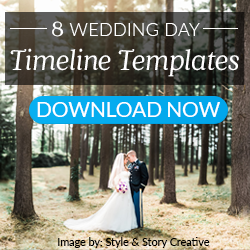 Once you have done research on valuable topics your clients want to read about, and you have established your authority, it is now time to turn it into a part of your wedding photography workflow you can use for every blog post. Whether you write the blog or outsource it to a company like Fotoskribe, use your extensive knowledge to create a topic that provides value. Incorporate photography keywords your clients search for regularly. Also, be sure to add in a strong call-to-action to encourage clients to interact in the way you desire. The CTA will differ depending on the goal of the post, but each should be a way for clients to learn more about you and your services so they can book you for their wedding day. For example, create a quick post including 20-30 shots previewing the wedding day a few days after it’s over. The idea behind this post is to create excitement for your clients about their wedding images. Related: Need help ranking on Google through your blog posts? 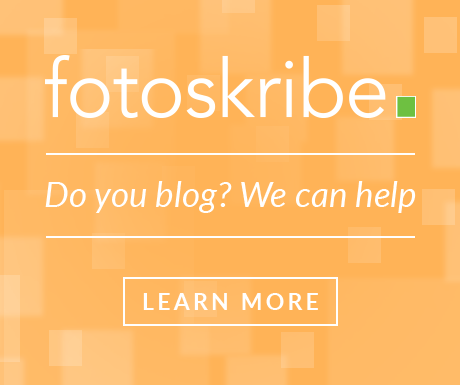 Find out how Fotoskribe, a ShootDotEdit company and the leading expert in blogging-as-a-service for photographers, can help! Once your blog post is live, share it with your clients. Send them a quick email and let them know you wanted to give them a sneak peek of their images. Because you sent the images immediately, your clients will be more likely to share them with their family and friends, which expands your reach and places more content on your blog. After you share with your clients, post the blog on social media. Use the platform(s) where your audience is following you do to this, that way you get the most impact. To gain additional traction, reach out to vendors who are featured in the post. Ask them to share the post with their audience. The more shares your blog post receives, the easier it becomes to grab the attention of search engines. With every blog post, submit them for publication. Have a bucket list of publications you’d like to get featured on that are harder to get to. Then, have a list of ones that are more attainable for you and get your work published. This continues to expand your reach, increase your visibility, and showcase your authority on all things wedding photography. Based on the metrics you track, make adjustments that help you benefit the most from your SEO for photographers strategies. When it comes to your blog posts, perfect and replicate the winners. Keep in mind that not every post will be a winner. Re-post the content that is successful periodically, since clients may have missed it or forgot about it. In our Online Training: Rank on Google: SEO Photography Basics for the Wedding Photographer, expert Jason Grubb shared 5 things you can do for your website to become more findable with clients who are perfect for you and your wedding photography business. Jason Grubb, along with his wife Gina, are wedding photographers based in Colorado. He is also the founder of a company that helps photographers become more easily and broadly found online via SEO, social media, and website consulting. Jason believes in using SEO to capture the attention of ideal clients, which will help photographers book more weddings. Here are the top 5 SEO tips for photographers from Jason’s Online Training. 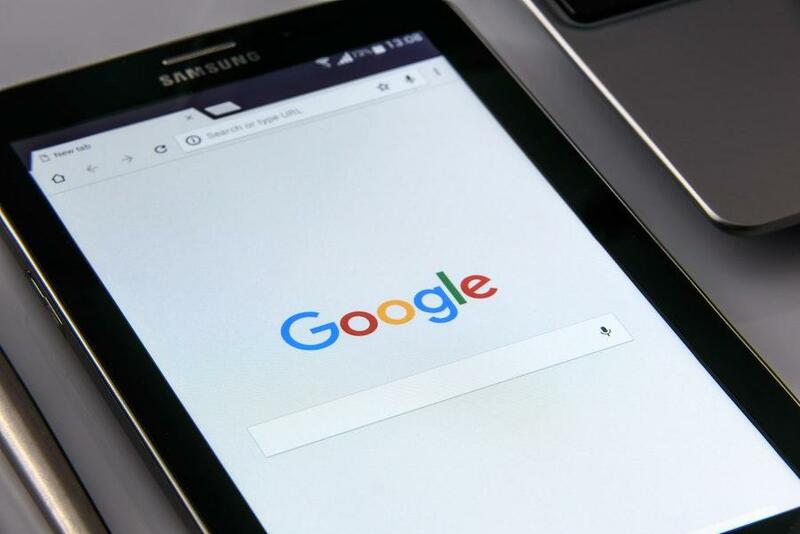 Connecting your website to Google Webmaster tools and starting a Google+ profile for your photography business will ensure Google can find your website. In theory, Google references the 40 trillion sites found on the Internet on a daily basis. So, even if you do nothing, eventually, you will be found. But why leave it up to chance? Visit Google Webmaster Tools to verify you own your site and to submit a sitemap. Then follow up by visiting Google+ to create your business profile. The key to good SEO for photography websites is found in the strategic use of keywords for photography. In today’s searches, keywords are often a series of words or short phrases that sum up the content on your page, rather than just a single word. When choosing the best keywords for photographers, it is important to be specific. Though it can be necessary to include the best SEO keywords for photographers, be sure to also focus on your niche. Use a photography keywords list that helps set you apart from other wedding photographers. Be specific with the group of SEO keywords for photographers to help you better target clients who are ideal for your photography business. When building SEO for photographers, whether by creating keywords for photography strategy or building links by sharing on social media, it is imperative to track your progress. As soon as the Analytics account is linked to your site, it is collecting data. The data collected can give you invaluable insight into your photography website and the people who visit. 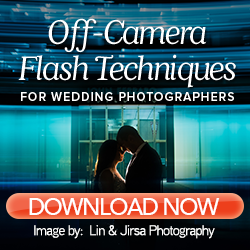 Just as you may outsource wedding photography editing, outsource your SEO to an expert. The truth is SEO has a lot of moving parts, so partnering with a dedicated specialist can help tremendously. It can make the difference between being on page 3 or on page 1 of a given Google Search. 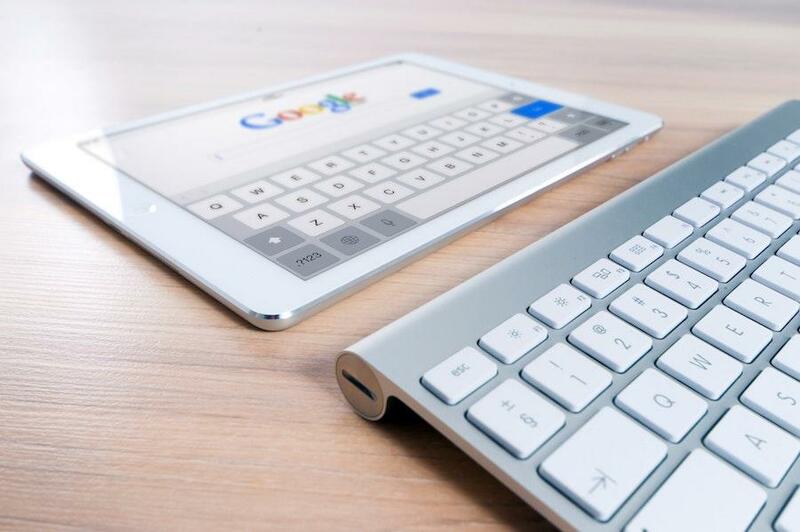 Since 3 out of 4 of Internet searchers do not click beyond the first page, increasing your SEO can gain you a coveted spot on page 1, helping you to increase your potential client base drastically. When searching for a wedding photographer online, a potential client will come across your website and review the services you offer. After reviewing what you have to offer, the client will want to know more about you. It is essential to have a bio page because this will help the client get to know you on a personal level and see what makes you unique. Your bio is also the best way to showcase your skills, experience, and specialty to clients who have not met you before. When you are writing your bio, there are 5 must-have questions to consider. Photographer Mike Allebach offers these questions that all great bios answer. Hailed by a Rock n Roll Bride as “the Original Tattooed Bride Photographer” Mike Allebach possesses an amazing ability to naturally photograph life on the fringe. He is a visual campfire storyteller. His journey into wedding photography started when he played guitar in a punk rock band. Before photographing weddings, he photographed underground concerts in bars and fire halls. Introducing yourself to potential clients is one of the most important steps in creating a bio. A short, detailed explanation about who you are will send a message to clients about who they will be working with. Add a few fun facts that not many people know about you. Though you are a professional, including personality quirks can increase the chances of the client booking you because you are relatable. Remember to add a picture of yourself to complete this section of your bio. This question is crucial, as people who buy a product or service want to know what they will get in return. What can you offer the client that another photography business cannot? Will your advanced knowledge of wedding photography ensure a smooth and quick process that will leave the client stress free? Clients want to know exactly what benefits they will receive when working with you. Think of when you are looking for a new doctor. You get out their credentials and experiences to make sure that doctor is the perfect match to take care of you. The same can be said for a client who is looking for a photographer. A wedding is one of the most important events in a person’s life, so provide information about your experience and background to ensure the client will be satisfied with your services. As mentioned before, weddings are memorable and clients want to know everything will be taken care of once they book you. After all, you are responsible for documenting every aspect of the most important day of their lives. You must give clients a reason to trust you with something so meaningful. That means you should offer your services and use testimonials from previous clients to ensure your potential clients know your business is trustworthy. In your bio, have a way for clients to identify with you. Express the types of thing you enjoy about wedding photography, as there will be many clients who share your sentiments. Share experiences clients will relate to, as well as your specific photographic style. Include some hobbies or activities you have outside of photography. Clients like to know you are similar to them. Mike Allebach’s 5 must-have questions for creating a bio will assist in answering questions a potential client may have. Visitors to your site will feel comfortable knowing you took the effort to create a page that is personable and relatable to them. Because SEO for photographers has many moving parts and can often change, it is important to create and implement a plan for your efforts. A plan helps you maintain consistency and ensures you have SEO as a part of your workflow. Below, we have 3 strategies to help you create a successful SEO photography plan with tips from a few pros. 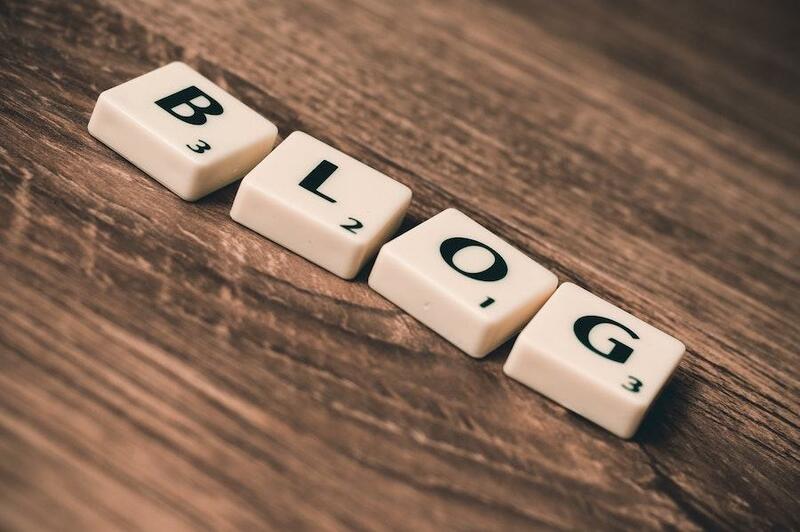 Writing and publishing blog posts is an easy way to increase constant communication flow between you and visitors to your site. Photographers and companies who blog regularly see an increase in web traffic. Including information land educational material in your blog is an excellent way to bring clients back to your website. You can include personal experiences in the wedding photography industry, which will help potential clients to understand what you do on a daily basis. Also, you can offer suggestions to clients who are unfamiliar with photography options by blogging about current wedding photography trends. Blogs can easily be shared between social media networks, which means visitors will click on the link to your website based on the information included in the blog. 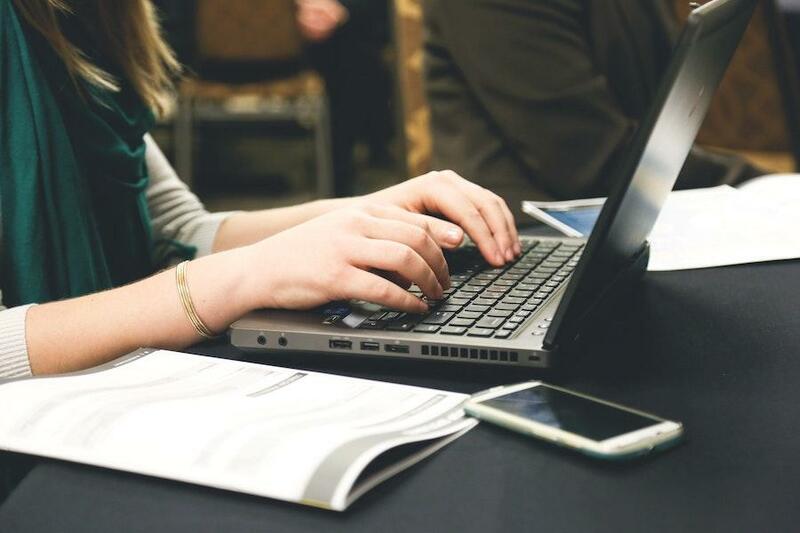 Remember to include a title that calls attention to your blog and website; a title that is so interesting that the person has to click and read to find out more. 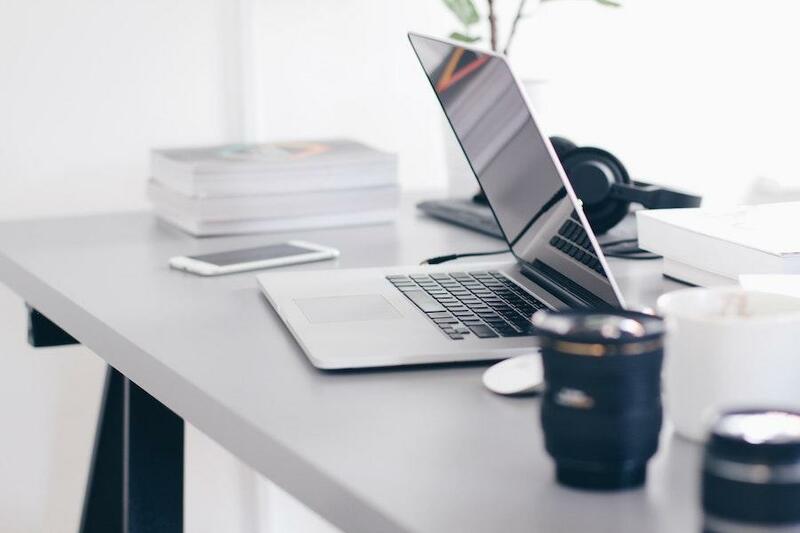 Don’t forget – blog as often as you can to continue to succeed with your SEO plan and utilize the best keywords for photographers as often as you can. If a visitor decides to search the Internet for a particular subject, a proper file name will lead straight to your website. For example, if an individual searches for images relating to beach weddings, your website (which features images of beach weddings) will find its way to the top of the list. The more specific you are with your image titles, the easier it will be for clients to find you. The benefit of your wedding photography website is you get to share beautiful, memorable pictures with viewers and vendors. Provide vendors with images from the event to use on their sites, and ask that they give you proper credit and link to your website. Your website benefits because of the potential increase in traffic from your vendors’ sites. This technique is a necessary part of your SEO plan, as networking is a helpful way to attract extra business. As a photographer and business owner, you have a website, blog, and social media platforms which represent your overall brand message. Incorporating techniques to help you reach more of your ideal clients is necessary for you to continue growing your business. Maintaining SEO standards sounds simple, right? 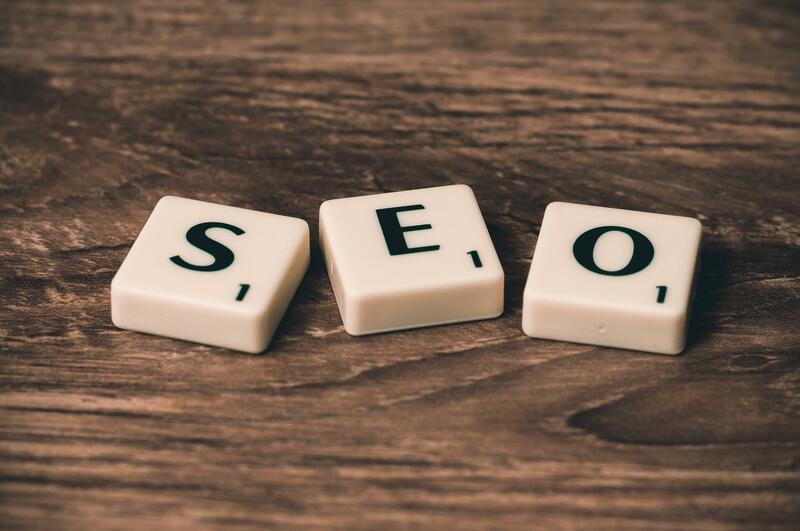 Although you have may practices in place to use SEO properly to attract ideal clients, there are still mistakes that go unnoticed. If not corrected, these mistakes can hurt your business and derail you from your overall goals. Here are 4 critical mistakes you can’t make in SEO. Because search engines scan through your website and blog to search for relevant content matching a person’s search, it is important to maintain unique content throughout. Search Engines can tell whether you used certain content in the past, especially on your blog. If you are repeating keywords or sentences in your blog posts, the search engines might not feature your newer content. Because you will probably feature similar keywords in your posts, mix up the way they are written. Also, keep track of what keywords you use in each blog post to ensure you avoid using it in the same context too many posts in a row. Since every wedding you shoot has diverse images, it can become simple for you to avoid duplicating the written content for your blog posts. Even if you shoot three outdoor mountain weddings, each had a different quality or funny story to tell your blog readers. If you run into issues with writing for your blog, utilize resources such as a Thesaurus to help you find additional words to use. Although photography keywords are necessary in your blog posts, and on your images, they should appear natural. Search engines can tell whether you are forcing keywords in your content to encourage clicks. This is less tricky when it comes to images, as you can name your images with keywords which relate to your business. It becomes complicated when you are featuring the best SEO keywords for photographers in your blog posts. As you write in your keywords, whether they are “wedding photographer” or “wedding photography,” make sure they flow with the sentence you are writing. Also, try using different words from your photography keywords list in your blog posts so you can avoid discrepancies with any search engines you would like to rank high on (especially Google). Including statistics or social proof on your website and blog can be helpful to boost your brand. This is especially true if you find relevant information which speaks directly to your target market. Featuring statistics and social proof on your website and blog requires you to include links to other sites, such as vendors or fellow wedding photographers. Additionally, your blog should feature links which direct readers to your other pieces of content. If your website or blog link out to any other sites, whether they are your sites or you are linking out to other resources, the links must work. When visitors to your website or blog click on a link which is broken, two things can happen. One negative outcome is visitors may lose trust in your brand because you did not notice the link was broken. A second negative outcome is Google will make note of this and will not contribute to the rise of your ranking. Always check the nature of your sources. If you find statistics or quotes from a reputable website, there is less of a chance the links will be broken over time. As a wedding photographer, your images are what help you connect with clients. Featuring compelling content is helpful, but your images speak directly to your ideal clients. Once your images are color corrected by a wedding photography post processing company (and you have added your artistic style), they are ready to be shared on your blog. When you upload images onto your computer, they should be named properly so clients who are searching can find them. If your images are named something vague which is attributed to the wedding day, how will potential clients know to search for them? Even if the wedding you shot was “Lisa and Danny’s Wedding,” your naming convention cannot only include the bride and groom’s names. For search engines to take notice of your images, include an alt tag which features “Wedding Photographer” or “Wedding Photography.” Couples who are looking for a wedding photographer search for those photography keywords on many occasions. Including proper alt tags on your images can help them rank on search engines and will appear for clients searching for a wedding photographer. When you use SEO for photographers properly on your website and blog, your brand can be more visible to clients who are perfect for you. Avoiding mistakes in SEO can help you stay in good standings with the top search engines, such as Google. 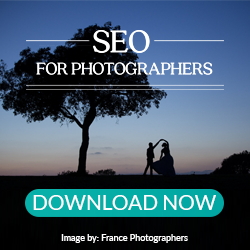 Discover additional ways SEO can skyrocket your reach and more with our free Guide, SEO for Photographers: 8 Pro Photographer Success Stories! In our guide, created in collaboration with PhotoBiz, we reached out to 8 photo industry leaders to find out how SEO empowered their photography businesses. Click the banner below to get the guide and read through their success stories to learn more SEO tips for photographers.